2019 SUMMER BIG BROTHER SECOND LIFE? 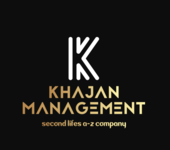 Khajan Management is looking to produce BIG BROTHER SECOND LIFE again for SUMMER 2019. We know we don't be able to do this alone so we would be grateful if we can get any help we could designers, webhosts, land owners Sponsors, Builders and everyone out there. Big Brother has been a great success in the real world as well as Second life back in 2008 but seems it had stopped there so we'd like to get it back from the ashes. Please do get in touch with us via the forum below and let Us know how you can help us or perhaps inworld Khajan Resident. Thank you for taking your time to read this. Anyone willing to hire someone who hasnt hosted in a very long time? Looking for business to invest especially clothing. I'm looking to invest in clothing business that are start up or existing business. More details will be discussed in person if interested please contact Khajan Resident inward. Distant Shores Beach is closing in 1.5 weeks after as a wonderful year the current owners have decided to close it but we are posting this message to anyone who might be interested in taking it over and running it. Full ownership over the sim run on Special servers from Miriam Chung Estate a venture of Anshe Chung The home stead cost about 7699 L$/Week and you get 5000 prime as usual we have add some stuff but cleared it slowing but if you would like to save it or take over do let us know and we can give you ownership to run it. We will not be selling or buying from us just continuing to pay the weekly tier to Miriam Chung and we will let barium know who is now ownership of the beach. The beach is located as Weston view http://maps.secondlife.com/secondlife/Weston View/102/87/21 Contact Katrinova or Khajan Resident for information regards taking over. Thank you for reading this. FANCY WORKING AN AM SHIFT IN SL no matter what time zone your in we want to HIRE YOU. You'll be working with the experts in music and clubbing making sure the PEOPLE are entertained. Contact Khajan Resident TODAY!!!!! PARTY LIVE 2017 HAPPENING 7TH OF THIS MONTH. GRAB YOUR BEACH WEAR AND HEAD DOWN TO DISTANT SHORES BEACH WHERE YOU'D HEAR YOUR FAVOURITE TUNES AND TOP 40. TAKING THE STAGE FOR THE EVENT WILL BE THE AWESOME DJ Q AND THE LOVELY HOST CINDY. Bring all of your friends and let's have fun dancing, chatting, and listening to some great tunes!!! ? OUR Gold SPONSORS BBX DESIGN & YACHTS Want to sponsor? Bronze Sponsor $50L Get you logo and landmark and notecard on advert board Silver Sponsor$200L Get you logo and landmark and notecard on advert board plus a mention during halftime Gold Sponsor $500L Get you logo and landmark and notecard on advert board plus a mention during halftime & Logo will be show on huge display with products available for purchase max 5 varies on prime. Contact Khajan Resident for more information Private donators can be mentions on the wall or can stay anonymous Contact Khajan Resident for more information http://maps.secondlife.com/secondlife/Weston View/225/196/21 SEE YOU THERE!!!!! I'm looking for manager to run a beach for me as well as other staff including property sales agents for the beach rentals. As well as beach support and life guards. If you are interested contact me Inworld or in forum Khajan Resident. We looking for clothed Designers for major mesh brands including Maitreya The Mesh project and many more This will be a paid position. we would like you to bring a sample of your creation if possible. Contact me Khajan Resident in world or via this forum and we can discuss further.